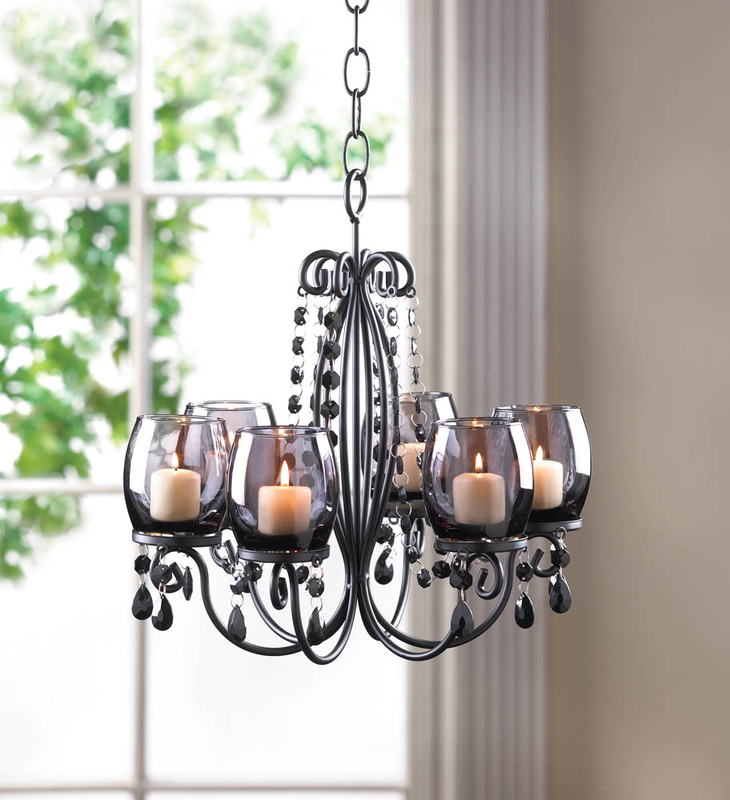 This hanging candle chandelier creates the glow of a sultry evening and a relaxing mood. 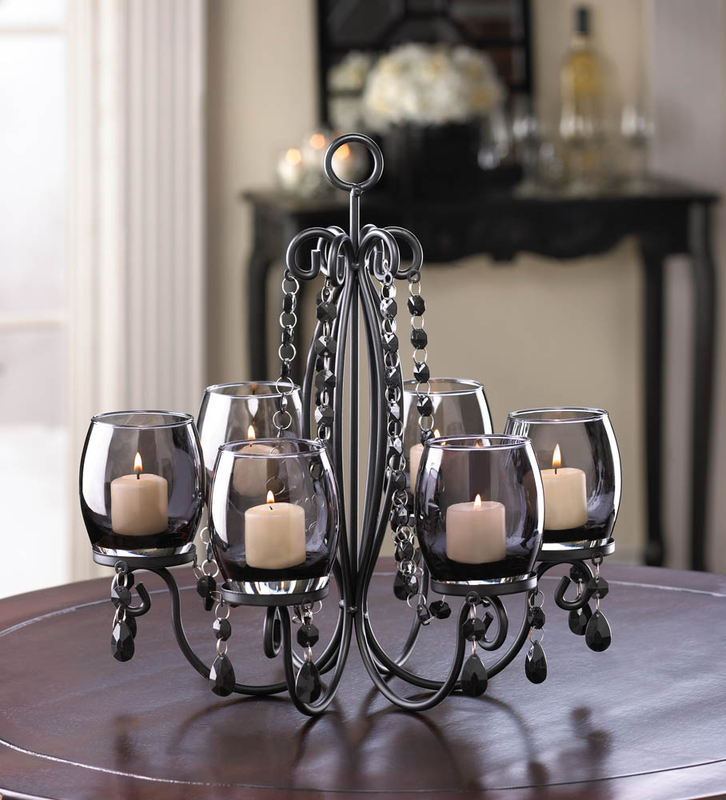 Faceted baubles dangle and reflect the sparkle of six candles set in tinted glass, creating the perfect ambiance for a romantic getaway right in your own home. 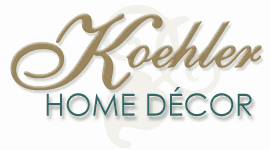 The glow of a real candle chandelier can be yours whenever you want! 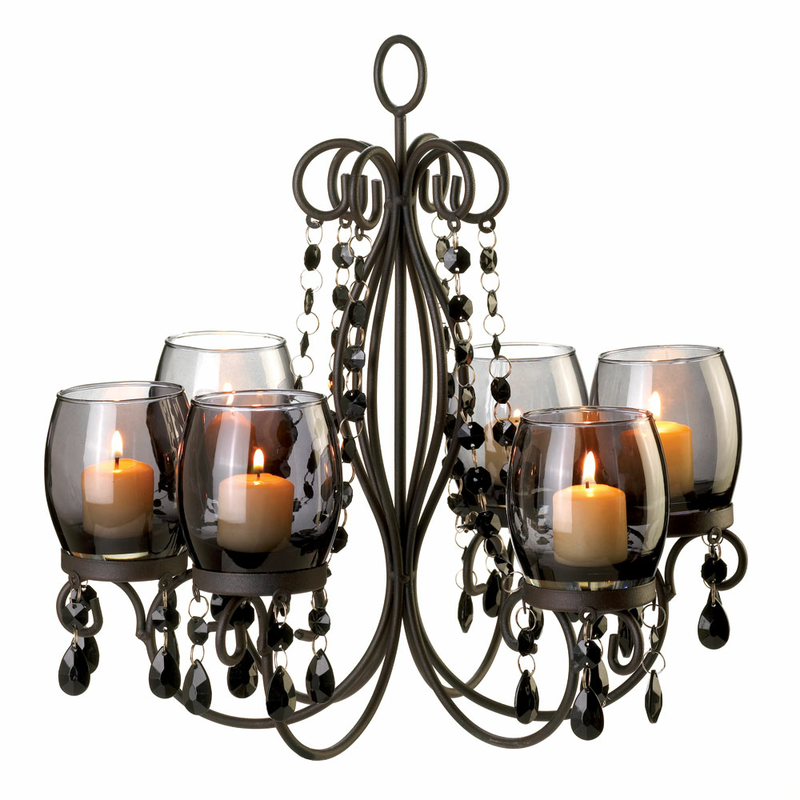 Hanging chain and candles not included.